the Andex 644M is a new robust and durable centre swath rake that comes with a compact package of features including maintenance friendly CompactLine gearbox with 10 tine arms per rotor. 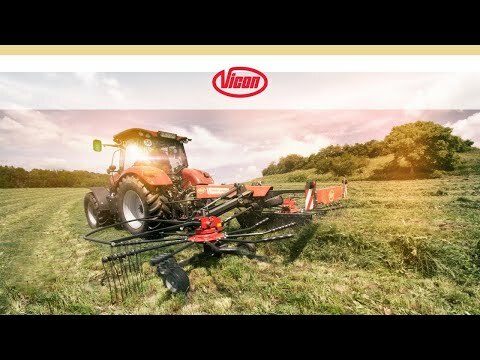 With 6.4 m working width, it is the ideal fit for two swaths from a 3.2m mower. Furthermore, it provides a swath width of 1.20m, suitable for efficient pick-up. Highly maneuverable for narrow road and tight Gateways.